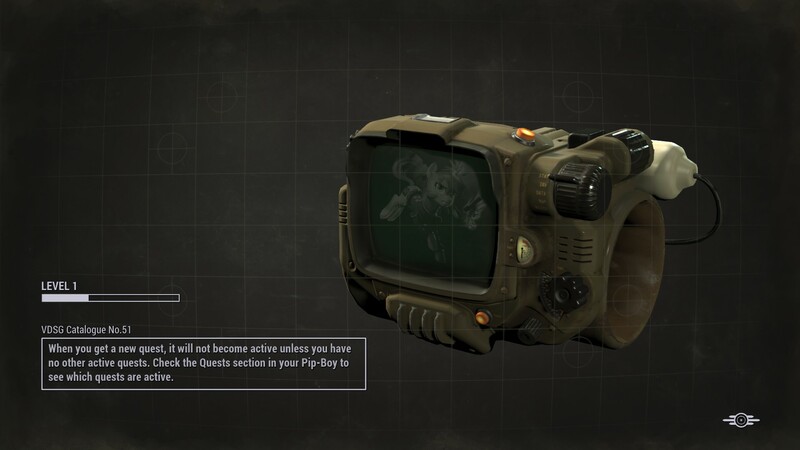 What this does is replace the background on the pipboy to one of three different images by DILeak, Acesential, and Makkon respectively. Each image comes in either green or grey. This should act exactly the same as a fomod, just open the zip with your preferred Mod Manager (Tested with NMM and MO), select your preferred one, and pony up the wasteland. Because this is a texture-swap rather than .ESP you may have to enable mods via the .ini files for it to work, follow the guide here if for some reason it doesn't just show up naturally. Thanks for adding this 2woToned!